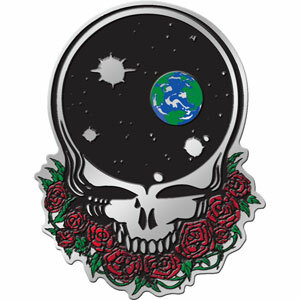 Heavy duty metal emblem sticker of the Grateful Dead Space Your Face design. Approximate size is 2 3/4" x 3 1/2". Officially licensed Grateful Dead merchandise.